Just ahead of the world-renowned Mortal Kombat franchise’s 25th anniversary on 8th October, Warner Bros and DC released the newest addition to the Injustice 2 character roster: the eternal God of Thunder, Raiden. 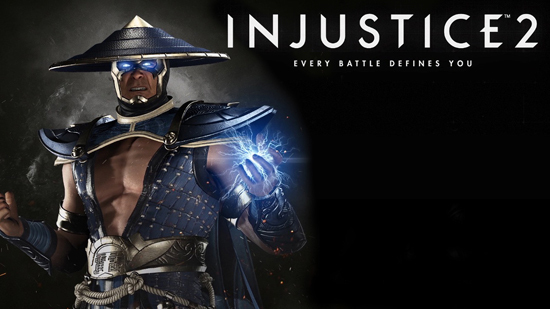 Players who have purchased the Injustice 2 Ultimate Edition, Injustice 2 Ultimate Pack or Fighter Pack No2 can play as Mortal Kombat’s protector of Earthrealm or as Black Lightning, a brand new Premiere Skin that accompanies the Raiden DLC, smiting foes with their powerful lightning abilities. The Raiden DLC will be available to all players and for purchase separately on 6th October. Developed by the award-winning NetherRealm Studios, Injustice 2 features a massive roster of DC Super Heroes and Super-Villains and allows players to build and power up the ultimate version of their favorite DC characters. The game is currently available for PlayStation 4 and Xbox One, with DLC characters Red Hood, Sub-Zero, Starfire and Black Manta available now.